101 "B.S Free" Ways to Drive Traffic. According to Nick’s experiment one of your most common struggles online was that you wanted to get more traffic. Instead of going into a crazy long lead in with this post, I figure I’ll just jump right in with the tips. If there’s something you’ve tried, and it worked, leave it in the comments, and I’ll be sure to add it to the list. Let’s make this the most epic traffic getting article on the web! Probe for the opportunity, do your research on the audience, and suggest a topic as part of your request for a guest posting opportunity. Minds are not blown by reiterating the same points everyone else is. If it’s the same thing everyone else is saying, make it your own by arguing, defending, or somehow adding to it. Make sure what you’re offering is high quality, and make sure it’s something people can actually use. If it’s something with an already-established price, drop that information into the offer. If not, let them know how much it will cost, after the promotion is done. If simply coming to your site is all it takes to save them a possible $20 in the future, they’ll come just to be sure. I’ve seen this done by dozens of different companies and it never gets old. Information is valuable. Entice readers with a series of posts, videos, or even automated emails teaching them something vital. By interviewing power players you are not only enhancing your existing audience’s experience of your site, but you’re building an important relationship with someone in your field. Not only that but a slice of their audience will come your way as well, to hear what their favorite guru shared with you. Automated content programs are great, and have their place, but since Twitter is a social arena the best way to get retweeted is to be yourself. Share your thoughts and allow Twitter to show a bit of who you are, and your followers will be more likely to want to read your latest post or watch your latest video, not to mention sharing it with their followers. It’s what friends do, right? Assuming you have already created a Facebook page for your business, make sure you use it. Add a “like” box to your site and encourage your fans to share with each other. And remember – Facebook isn’t anonymous. A simple, personal “thank you” to the folks who share will encourage them to share in the future. With sites like reddit, digg, and even 9gag.com, infographics can bring you a lot of traffic quickly. Why? Because people like to absorb information as rapidly as possible, and if that information is detailed or extensive, it’s easier to stay focused if there is a strong visual aspect. Everyone has a handful of tips or tricks that they use almost without realizing it. Focus on what you do differently from everyone else and make a short .pdf or e-book about it. It may be anything from organizing a home office to editing a video in less than X number of hours. Whatever it is, put it in a document and share it with people. People love DIY videos, and it doesn’t matter at all what they are about, as long as you can speak knowledgeably on your chosen subject and be interesting. Chefs and crafters have been doing this for years, but why not create a five minute video showing a part of your day that is unique to your business? This can be a one-off or a regular contest for your audience that encourages them to bring people your way. You can track links to see how many subscribers someone has referred, or you can just do it lottery style by offering a prize to a randomly-selected member once you’ve reached a certain subscriber count. I can’t imagine why, in 2012, people would still choose not to add social sharing buttons to their work. Maybe they just don’t like the way it looks. Aesthetics aside, you will do more harm than good by neglecting to provide these buttons, since people hate to click away from a page. If they want to share and you don’t give them an easy way to do it, they will either simply not share your work, or they’ll click over to Facebook to post the link themselves. And once they’re on Facebook, good luck getting their attention back on yourself. For awhile, it seemed like everyone forgot about podcasting. But it’s on the rise again, and with good reason. Being able to subscribe to a podcast means your audience is connecting with your voice and hearing your thoughts, which keeps your words top of mind when they are in a position to recommend you to someone else. There’s nothing worse than referring a friend or coworker to a site loaded with information and having to tell them, “To start, you’ll want to search for this post titled, I think it was… I can’t remember, something like—” Create a page that will act as a starting point to give visitors a frame of reference within your site, and create a page that is about you or your brand. While you don’t want people to end up here on purpose, you also know it will happen every now and again. Instead of losing their interest with a dead-end “oops!” page, revamp the error page to suggest other core content. The most effective 404 pages I have seen offer a link to the “start here” page, core content, and an archive search tool. When you send an email, is your site linked to your signature? When you communicate via email, each email is an opportunity to draw that person to your site. Plus, if your email is forwarded along or shared with colleagues, your link will be right there for them, too. Make it easy for your audience to find and share the posts that made them think of you. So much new traffic that comes from existing subscribers is because they’re’ talking about you. You have become relevant to their conversation. Don’t bring their conversation to a halt by making them dig through your site to find a link. Easier said than done, this will usually require you to either a) purchase the link or b) build a relationship with the site you want the link from. A may be quicker, but B is the safest bet in terms of search rankings. Not to mention, building relationships with influential people is just as helpful to your business as a quality link is. If you are trying to rank for certain keywords, make sure you’re using them properly for Google to notice them. Your title should be clear and concise, feature your keyword, and not be overly short or long. Try to keep it under 70 characters, maximum. Smartphones make up approximately one quarter of all mobile usage. Common complaints smartphone users will make about a website are: clicking an external link to a site that redirects to a mobile homepage instead of the intended article, sites that do not resize or utilize scripting that is unusable on a smartphone, and sites built so poorly that even the desktop version doesn’t fit itself to a smartphone screen. Managing a community on your own website may be tricky, but paid dividends in keeping conversations alive at all hours of the day or night. It’s a great way to see what your audience is really like, and a fantastic source for content or inspiration. Google offers an easy to use keyword research tool to test competition for key terms. By researching during the content creation process you’ll be able to fill in the gaps for lesser-searched terms as well as pursue the #1 spot for more competitive words. Facebook is expecting to reach one billion users by August. You can advertise to your target market for a few dollars per month. Google is literally almost everywhere online. Not only will lists get shared when they are initially posted, they will also continue to bring traffic over time provided they do not become outdated. Spark conversation. Get people thinking. You know, that sort of thing. Most people are pretty good at providing a call to action at the end of their post or video, but it’s rare that the post actually inspires discussion. Present a divisive situation, controversial information, or a stance where opinions vary wildly and provide links to more information or opposing viewpoints. Lead the conversation to an educated place and get beyond the simple, “What do you think?”-type call to action. If there’s one thing people will share even more willingly than their opinion, it’s advice. You don’t necessarily have to need their advice to ask for it. Bloggers and site owners with high traffic stats frequently provide a weekly content roundup. Check out sites like marksdailyapple.com or everywhereist.com to see examples of valuable information, briefly discussed and shared with the audience. When you choose which websites to comment on, it’s not enough that they have a high follower count. You want to find sites that have consistently high comment counts, and only comment where you will provide value. “Great post!” is not something that inspires other commenters to click, but a thoughtfully presented piece of information definitely will pique their curiosity about who you are and what else you know. When traffic comes in from a new source, most people don’t mind finding a context for a return link in a future post. When you select a site to link to, choose one that is well-trafficked and also somehow related to the information you are providing. State your beliefs boldly. Trying to please everyone will turn your readers off. The ones who believe what you believe will share your work because it’s in line with their own thoughts. That’s how you find the true evangelicals among your audience. When content goes viral, there’s always a wave of dissenters. Be at their forefront by going toe-to-toe in the same way it’s presented. Be as funny, as engaging, but most importantly: be as informative as the original, and explain why it’s all wrong. It’s nice if they’re in on the gag, but they don’t have to be. Look at the Ashton Kutcher vs. CNN Twitter follower competition, or the success of Regretsy as it takes on a one-sided fight with Etsy.com. In the rush to be entertaining and provide value, storytelling is a lost art. That’s exactly why it’s such a valuable tool to encourage sharing of your content: stories appeal to a wider audience than your niche. Series posts are fascinating. Not only will cliffhangers keep your audience engaged and talking among themselves about what happens next, you’ll get more subscribers when people are afraid of missing something. Simply put, provide indisputable information that is of interest to your market and explain why this information should matter to them. There’s a reason mythbusters is such a popular television show. The internet has been around long enough that Old Wives’ Tales are starting to take hold in the collective subconscious. Choose one, experiment with it, share it. By switching up your posting style you’re inviting traffic from a whole new wave of people. Do you normally write? Try a video and get the YouTube audience on board. Do you normally podcast? Create an infographic and share it with image-based platforms. Take a popular post from an influential figure and say, “What this posts neglects to mention is…” Talk about the effects of putting their information into practice, reveal the process that led to their conclusion, anything. Just add more. Did you design your website poorly? Run a bad ad campaign? Give false information unknowingly? Get on the wrong side of a debate? Talk it out. Milestones can be anything from the half-birthday of your blog to the 500th post, to the 10000th subscriber. Summarize the journey that took you from point A to point B and where you hope to go next. Rampant bad information, poor customer service, Facebook timeline: find something you can all complain about together, but don’t just end there. Present a workable solution or lead a revolution to get people really invested in sharing your post. This is not so much for the insiders in your industry, who will know these things already. This is for everyone else, because gossip sells. You can disprove their teaching if you want to, or simply provide your audience with more information on it. Just because the information is already out there doesn’t meant they’ve seen it already. By doing this you will help people avoid wasting time, which is incredibly valuable. By addressing FAQs you’re skipping the background information and providing people what what most of them really want to know. The bonus here is that this can become part of your site’s core content after it’s published. You’ll see this done all the time with Twitter. Take something underappreciated or mundane and tell people why it rocks, and how to make it work harder for them than they ever imagined possible. You can choose to do a 7-day spread of a month-long run on a topic. By doing so you establish yourself as an authority and create a reliable stream of traffic during that time. Introduce yourself and your reason for being online, and arrange a shared link-trade with other folks in your niche. Sponsor a tweet-up, a free webinar, a charity event, sports team, or contest with a desirable prize. This is a chance to have a little fun and share your creative side. Add your flickr stream, a playlist of the music you listen to while working, or a marketplace of odd items you’ve collected and are now selling. Ever seen a headline and shared the info before you even had a chance to read it, because it was that important? Make it possible for people to do that for you by being sharp, specific, and useful. Once you’re established in a field it’s easy to share posts with, tweet to, and create content with the same handful of professionals. this is great at first, but stagnates quickly unless you are part of a well-known power team. if you aren’t gaining or maintaining traction, expand your circle to include new folks with new audiences. Set a goal of making a splash in a few different places within a set amount of time. Fifty guest blog posts in thirty days, a video marathon, name your own price consulting offers all work very well. Spammers aside, everyone who goes out of their way to contribute to your conversation deserves acknowledgment. If you can get to one of the cornerstone events that happen on a regular basis, do so and share it with your audience as it happens. make use of all the tools available, twitter, photos, video, and live-blogging to get as deep into the experience as possible. It may seem like everyone is talking about the latest thing google did or the latest stats released by Facebook, but none of them are giving it your spin. Present the info to your audience and give a commentary on what it means for you, your audience, or the rest of the world and why exactly everyone is up in arms over it. People love to see limits pushed. Set a public goal (365 project, 1000 words per day for 30 days, a one-minute video every hour for 24 hours, etc.) and then execute. Tell your audience about overcoming adversity, or the mindset necessary to do so. Encourage them to keep trying, or set up a challenge that they can use as motivation to complete something important. Sharing the best comments you’ve received encourages more interaction as well as entertains your fanbase. People love a good beatdown, even better if it’s presented with a dose of good humor. It’s entertaining and gets people on your side. Offer exclusive content or news to your most influential sharers to encourage them to be proactive on your behalf. Companies with alerts for links related to their content will frequently link back, share, and/or retweet articles where they are mentioned and linked to. People like giving feedback, moreso if there’s an incentive. Set up a poll or survey and ask participants to leave a comment or send a tweet with your hashtag as notification they participated. In exchange, select one at random to receive a “thank you” prize. The internet has ramped up the speed with which things go out of date, so update your own or someone else’s post trafficked post with refreshed stats, images, and research. Review a new tool or popular information source. Make sure your readers know it is done for their benefit, and isn’t a paid post. You can solicit these from companies with varying degrees of luck or have them requested of you, depending on your notoriety. Was there a great toy in your childhood whose very mention makes you nostalgic? What about a television show, a fad item, or even a movie that’s popular now? Show your audience what there is to be learned from the lovable qualities of whatever you choose and gain a level of cult appeal with your post. Nothing moves you up the social hierarchy than being the one to introduce someone newer than yourself. Take an interest in the work of the newbies; not only can you collaborate as their career grows, but they and their fledgling network will appreciate the exposure. Do your research. Everyone asks how someone got their start, what they like and dislike about their job, and what they’re working on now. Read their blog, dig deep, and get information out of them that they don’t usually get a chance to share. Your assistant has a different take on things than you do. The small business owner you buy your coffee from has learned a thing or two about marketing, longevity, customer satisfaction. Give voice to their unique perspective on your platform. Lengthy posts (like reports, or lists) have their place, but on occasion it’s worth boiling your thoughts down to the most critical points. This is also a great way to be quoted more. You may want to attract readers at or above a certain level in the field, and the best way to ensure you find them is to create them yourself. Start at the first step and invest time in teaching them along the way. Within a few months you’ll be writing at a higher level than anticipated, and the context for people to catch up will be in your archives. Web traffic is proven to be higher during the week, take advantage of the peak posting time. Since so many sites only post during the week, your content will stand out more. Don’t cheat the weekend readers with weak information, but do aim for conciseness. My new favorite obsession is ZeFrank, who is constantly offering new games, softwares, songs, and generally just engaging his audience wherever they are. Make a theme of an ongoing game (i.e. Social Media Bingo with a “board” made of stereotypes) and do a post for each square that deserves a mark. Using the Social Media Bingo example referenced above, get your audience in on the game. Send them out as scouts for articles or information that can be used in the game and have them post it on your site to participate in the game. More involved than a story with cliffhangers, this involves setting a phenomenal endpoint that will impress, intrigue, and help your audience. Seed posts to build anticipation, throw them slightly off the scent, keep them guessing. “Epic” content is important but if you are only willing to share earth-shattering information, your blog will be silent a lot of the time. You need traffic between paradigm shifts, so I encourage you to pursue epic, but settle for extraordinary more often than not. Analytic software can tell you where your traffic is coming from. They provide this information because you are supposed to use it. You may be popular in a totally unrelated field, and that’s ok – play to those strengths to bring people into the fold. Updating frequently is great, when you’ve got a multi-author site (like this one) but if you’re just one person, don’t break your back trying to get posts out once or twice a day. Instead, follow the 80/20 rule. 80% promotion/20% creation. That way, people will actually see your work. If you make your readers slog through three blog posts on other sites just to understand the context that you’re writing in, you’ll lose them. They’ll get distracted, bored, or run out of time. Provide enough information to express your point clearly, with links added for support or further reading. Don’t constantly nag your audience to share, and don’t expect that traffic will spike to an all-time high overnight. If you look for results too soon, you’ll miss them as they’re happening. Put your support behind a cause and tell people exactly why you feel the way you do. Passion is moving and engaging, whether it’s directly related to your usual content or not. There are a hundred ways to do this. A cartoon panel, youtube clip, time lapse video, photo album, a playlist of your typical day expressed in songs, or a sample of your schedule. Let your audience know you. If your niche has its own jargon, or uses common words in an atypical way, create a list of the top ten or twenty most commonly used and explain them for your audience. You may or may not have posted your initial mission statement on your blog or website, but don’t let that stop you. Update it with your new goals and let it open discussion with your readers. Memes are an important part of internet culture, and no businessman is so serious that an internet denizen would question his participation in a popular meme. They’re entertaining and viral by nature, and seeing a normally serious person take part in some silliness is eye-catching. Communication styles change over time. The way you blog or create videos now is different than it was a year ago. Find snippets that are funny, terrible, unexpectedly insightful, or straight up embarrassing and quote yourself. Create an e-book or how-to video on how to accomplish a complicated task or how to digest and comprehend important information. Some browsers come with a built-in translator, but some don’t. Grab a plugin to reach an audience beyond your native tongue. Participate in advice forums, LinkedIn, Quora, even Yahoo Answers. Keep your answers concise so they pack a punch, and make sure your site is linked in your profile. Pretty self-explanatory. People appreciate when someone else addresses the elephant in the room. Things that are glaringly obvious in their wrongness, but go uncorrected because of “etiquette” obviously need shaking up by someone daring. When you create an online presence you give people the impression you’re merely an email or tweet away. Do your best to actually be that available to your audience. Have a plan for making the most of the traffic spikes when they come. Are you going to push for sales? Subscriptions? Shares? Will you thank each individual person who RTs or comments on your work? Nail down details and make your traffic increase permanent. Traffic is not a game that just “happens.” When something good happens, like a huge guest post, or a big time interview, use that to your advantage, and reach out to other BIG names that might find value from it, and ask if you can do the same for them. Everything is a springboard for something else, so always leverage everything you can. Honestly, I definitely liked the tips throughout this but 101 was a bit excessive, I found myself nodding off after about 30 and not taking in the information, even though it’s an area I’m interested in. Good content though, very helpful. That happens… Of course, you can always come back for more later on down the road. Great resource…I think the most important advice is that you need to use the right marketing mix for your business/website. Depending on your business, sometimes obviously things (such as a featured ad on Gumtree) works wonders! Absolutely! Never discount the power of paid media! Hi Tommy, Another great post from income diary who i have been avidly following for quite some time now. I have one question for you, does Michael still write posts here? as I haven’t seen any from him lately and just wondered where he is and what he’s up to? Thanks Tommy and good luck. Thanks Tommy, i appreciate the reply. This article by far is the best informative article I’ve seen! So much stuff explained to help build traffic to my website. Thanks so much for this information and I’ll definitely will be bookmarking this page! Thanks! I’m glad you found it useful. What will you be doing first? I’m about to add a link to your article with an article I’m currently writing now. Thanks Tommy for a very informative blog. I have bookmarked it for future reference. Fantastic list, Tommy. Many of the things mentioned here are normal but very important pathway that can lead to your success. If one does stuffs like guest posting and blog commenting in the proper manner than he can surely drive traffic to their blog. Thanks for sharing this great list, Tom. Have a great weekend. Normal, yet we often forget to do them. I know I’m guilty of that. This is a great list. I know that there is something there for me to use. 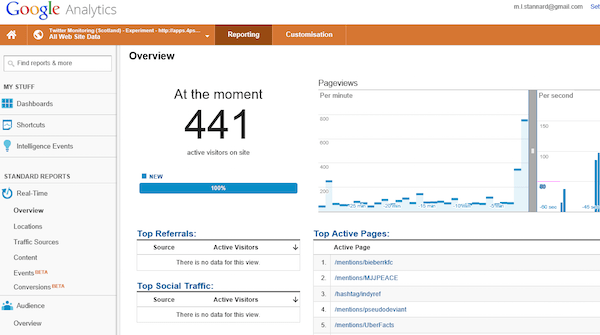 I definitely need more visitors and I will make sure to implement some of your useful advice. I’ll bookmark it so that I can refer back to it when I need to. My blog needs a bit of a shake up. Is it possible to put a print button at the bottom of your post?I think it will come in handy for a lot of people. Such an exhaustive list makes everything seem so easy and I noticed doing these things do take time I really like #90 show folks a day in your life and let the audience get to know you. Makes it more fun when you have a personal connection with your audience! Doing these things will surely increase your traffic. Becoming a success does not have to be hard it just takes hard work and putting in the time and having the resources to do these things because I noticed some things do take having the necessary tools and finances to do it or maybe even hiring others to complete it. A long and a great list. I believe nothing been missed out. Only worth when implemented, if half of the list could be covered for well researched keyword, result would be a stable Google no 1 position. Few are non conventional too in the list, which are awesome. Yes, it’s always good to keep this stuff grounded in reality. Great list. Inspires me to work even harder. hey ! You guys killed it agian! This is great info you got here. <3 this! I’m going to read this more thoroughly a little later, but I read to about #50 and am excited to implement your suggestions on my product review blog! I thought Twitter had filed a lawsuite against TweetAdder and other automated programs? Any more on this? I haven’t heard about that, but I wouldn’t doubt it. Great post! Writing guest posts for different websites in your niche is a great way to expose yourself to potential subscribers. this is a huge post. I get some interesting ideas for my blog and business. Hi Tommy I love the post I certainly will be using those tips to further optimise my website which is already enjoying some success as it. With these great tips, it’s to the top! Mind Blowing list.. I’m confident after reading this that I can get more traffic.. Can you tell how to optimize my site in mobiles.. There are a couple of plugins that you can use that can make a completely mobile site, or you could go the way of retrofitting your site with “responsive” design. Inspiring and well researched article / list. For some reason number 5 resonates with me, although its clear putting together a short list your comfortable with and take action, the desired results would be obtained. I will definitely refer others to this list via my weekly newsletter to my people and of course, I’ll tweet it in just a minute. Of course I’ll subscribe to your RSS on the way out the door. Great information thank you for such a helpful post. Great post and great points! These all accumulate into more traffic but when is the actual point when a blog goes from unnoticed to noticed? How does this come about? what a great post and some of the points are priceless,, how the hell you come up with all this?? well pure quality -the best point for me was the error 404 code!! its something ive not looked into at all, i will go now and see if i can setup a good one for these times ahead.. I love it. What a great post! Probably the most thorough “traffic-tips” post I’ve seen in a long time. Thanks!